What is a connective tissue disease? What are some signs and symptoms of MCTD? What is the cause of MCTD and can it be prevented? There are many confusing terms in the world of autoimmune diseases like lupus. One condition that we will attempt to clarify is multiple connective tissue disorder (MCTD). 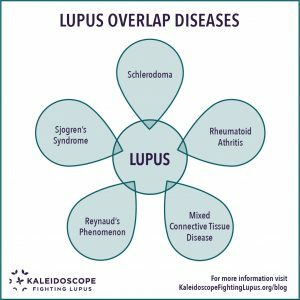 We have enlisted the help of rheumatologist, Dr. Donald Thomas, author of The Lupus Encyclopedia, to assist us in making sense of this complicated medical issue so that we can better explain it to you! First off, let’s define what a connective tissue disease, or disorder, is. Connective tissue diseases (CTDs) actually refer to a large group of diseases that primarily target the body’s connective tissue (the “glue” that supports organs and other parts of the body). Examples of connective tissue include bone, cartilage (tendons, ligaments, the hyaline at the tip of your nose etc. ), fat (adipose tissue) and even blood. Connective tissue diseases can arise from many causes including infections, metabolic issues, and genetic disorders (such as Marfan Syndrome and Ehlers-Danlos syndromes) as well as autoimmune diseases such as the mixed connective tissue disorders. What is more, any of these can be associated with systemic lupus erythematosis. Systemic Lupus Eyrthematosus (SLE): SLE is a widespread and chronic autoimmune condition that, for unknown reasons, causes the immune system to attack the body’s own tissues and organs, including joints, kidneys, heart, lungs, brain, blood, and skin. Sjogren’s Syndrome: In Sjögren’s, white blood cells attack moisture-producing glands, such as the tear ducts and salivary glands, making it difficult for your body to produce saliva and tears. Systemic sclerosis (also known as scleroderma): Scleroderma can cause the tightening and hardening of the skin and the connective tissues. The word “scleroderma” derives from two Greek words: “sclero” meaning hard, and “derma” meaning skin. Rheumatoid Arthritis (RA): RA is a chronic inflammatory condition and autoimmune disorder that generally affects the lining of the joints in your hands and feet. Rheumatoid arthritis causes a painful swelling that can eventually lead to deformity and erosion of your joints and bones. Dermatomyositis: Dermatomyositis (dur-muh-toe-my-uh-SY-tis) is an uncommon inflammatory disease marked by muscle weakness and a distinctive skin rash. 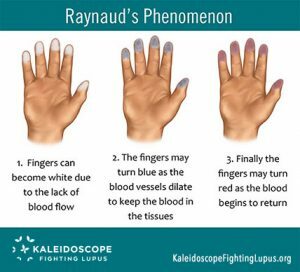 Raynaud’s Phenomenon: Raynaud’s, simply put, is a problem with blood flow. This means that your body is not able to send enough blood to your extremities, like your hands and feet, so they tend to feel very cold, numb or tingly and can even discolor due to lack of circulation. Neuropathy (or peripheral neuropathy): Peripheral Neuropathy, is nerve damage that often causes weakness, numbness and pain, usually in your hands and feet, but may also occur in other areas of your body, it may also signal lupus. Anemia: Anemia is a condition in which your blood has a lower than normal number of red blood cells causing symptoms such as weakness, fatigue, dizziness, shortness of breath, or headaches. Long-lasting or severe anemia can damage the body’s vital organs and in extreme cases, death. Pleurisy (also called pleuritis): Pleurisy is an inflammation of the moist, double-layered membrane that surrounds the lungs and lines the rib cage, making breathing extremely painful. Collagen vascular disease: Collagen is a protein-based connective tissue that forms a support system for your skin. The connective tissue holds bones, ligaments, and muscles together. Diffuse connective tissue diseases: The diffuse connective tissue diseases constitute a group of inflammatory diseases with the potential of involvement of many organ systems. General feeling of being unwell: This might include a mild fever and increased fatigue. 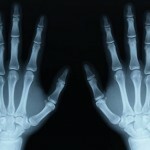 Swollen/Puffy Fingers: Swelling in the hands and fingers is a common symptom of mixed connective tissue disease. Muscle and joint pain: The symptoms of rheumatoid arthritis including muscle aches and joint swelling/pain are common in MCTD. Pulmonary hypertension (PH): This condition means that there is an increased pressure in the pulmonary arteries. These are the arteries that carry blood from your heart to your lungs to pick up oxygen. PH can cause symptoms such as shortness of breath during routine activity, fatigue, chest pain, and a racing heartbeat. As the condition gets worse, its symptoms may limit all physical activity. Often, testing for mixed connective tissue disorder is called for when a patient is experiencing a rheumatologic disease, such as rheumatoid arthritis, along with several other overlap disease features. Diagnosing specific connective tissue disorders can be tricky because often the same lab abnormalities exist in several connective tissue conditions. For example, someone could test positive for certain abnormalities and still the specific diagnosis may be unclear (although the treatment, in fact, may be the same). When the diagnosis is unclear, but it is evident that a systemic disorder is present, the physician may call it an undifferentiated connective tissue disorder (UCTD). Antinuclear antibody (ANA): The immune system makes a lot of proteins called antibodies. Antibodies are made by white blood cells and they identify and fight infectious organisms in the body like bacteria and viruses. Sometimes these antibodies make a mistake and identify normal, naturally-occurring proteins in our bodies as being “foreign” and dangerous. These antibodies are called antinuclear antibodies (ANA). 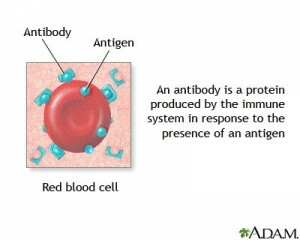 A positive ANA test means that the antibodies are present. By itself, an ANA test DOES NOT mean that a person has an auto-immune disease. Rheumatoid factor (RF): This is present in 80% of adults with rheumatoid arthritis but not often present in the normal individual. It is also often positive in people with MCTD. A high level can indicate a tendency toward more aggressive disease activity. SS-A/RO: Anti-SSA autoantibodies (also called anti-Ro, or the combination anti-SSA/Ro or anti-Ro/SSA autoantibodies): These are anti-nuclear autoantibodies (see above) that are associated with many autoimmune diseases, such as systemic lupus erythematosus. This particular antibody often occurs in patients with Sjogren’s Syndrome. Ribonucleoprotein (RNP) or Anti-RNP antibodies: Anti-RNP antibodies are strongly associated with MCTD, and the majority of patients diagnosed with MCTD test high positive for RNP antibodies. These patients often also have Raynaud’s. “It is important to realize that everyone who is RNP antibody positive does not have MCTD. RNP antibody commonly occurs in all of the CTD disorders (for example, 30% of SLE patients are RNP positive, but the vast majority of people with SLE do not have MCTD).” Clarifies Dr. Thomas. As with most autoimmune diseases, pinpointing the cause of MCTD is very difficult. It is likely that they stem from a combinations of genetic and environmental factors, but doctors do not know why people get these types of immune disorders. Because there is no way to know why people get them, it is very difficult to say how they can be prevented. 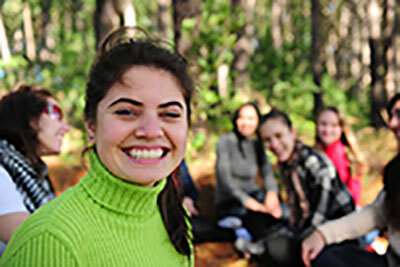 The goal of treatment for MCTD is to suppress the immune-related inflammation of tissues. This is a very similar approach to the [treatment of lupus]. Often corticosteroids such as prednisone are prescribed to accomplish this. Cases that are less severe can often be treated with nonsteroidal anti-inflammatory drugs (NSAIDs), hydroxychoroquine (such as Plaquenil) and lower doses of corticosteroids. More severe cases of MCTD might require the use of immunosuppressive medications like cytoxin, for example. It is very important to note- If you are on Prednisone, please have your physician monitor you closely and never reduce your dosage or stop taking it without first consulting with your medical provider. 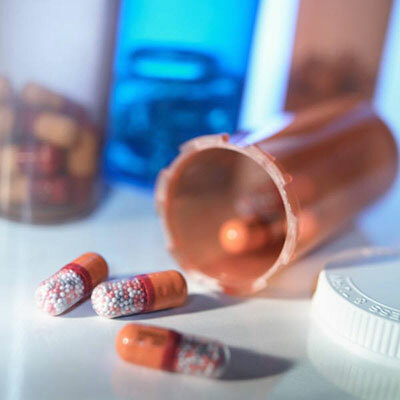 There are side effects and important things to know about corticosteroids, please find that information in our blog on the topic. Maintain good communication with your treating physician(s) and be your own best advocate. Keep organized medical records, bring a support person along to visits when you can to help you digest and remember information and advice, and be open and honest with your doctor, following the recommended protocol. A network, or team of friends, family, medical providers, support groups, and resources can help you successfully navigate through your disease. Protect your hands from cold temperatures by wearing gloves or taking other measures to keep your core temperature warm. Reduce stress- Yoga, breathing techniques, relaxation and meditation can help your mind/body connection. A new diagnosis of MCTD, or UCTD may feel overwhelming, but it doesn’t have to be. It is a complex disease and the symptoms and severity can vary widely between those diagnosed, depending on which CTD’s are diagnosed as well as which overlapping diseases and symptoms are involved. If you or someone you care about is showing any of the above signs or symptoms, getting a quick, accurate diagnosis and early treatment, can help to minimize the symptoms of MCTD, thereby decreasing the chances of irreversible damage and creating the best possible outcome and quality of life. We would like to thank Dr. Donald Thomas for taking the time to helping us hopefully clarify this very confusing topic. We greatly appreciate his insight and expertise in this field!